A highlight of my blur of a week here was catching the explosive set Operators gave us for Festival Music House monday night. Dan Boeckner’s (Wolf Parade, Handsome Furs, Divine Fits) analog/electronic/dance project had everyone in Adelaide Hall bopping around in some sort of fashion, yelling “one. one. one” over and over again and absorbing all these news songs off the bands’ debut EP “EP1”. Today, the band put up another one of the “aggressively melodic collection of synth driven pop songs” to their soundcloud page, the instantly catchy “Start Again”. The band (Boeckner with keyboardist/vocalist Devojka and drummer Sam Brown) has been tearing across North America, supporting Future Islands along with their own headlining gigs. They’ll visit Central Parks Summerstage on September 9th, opening for Spoon (including fellow Divine Fits bandmates Britt Daniel and Alex Fischel), as well as playing newly announced dates with Zola Jesus in SF on October 8th and a their own show at The Echo in LA on October 9th. Full dates below. 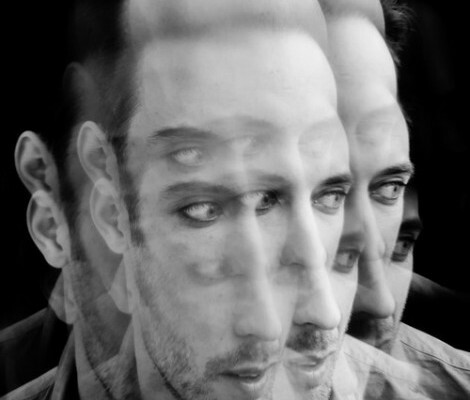 If James Brown was the “Hardest Working Man in Show Business”, Dan Boeckner (Handsome Furs, Wolf Parade, Divine Fits) is making a case to be the “Hardest Working Man in Alternative Music”. His latest mysterious project, Operators is another addition to his already-acclaimed resume. There has been little information regarding Operators other than the inclusion of drummer Sam Brown (also of Divine Fits) and Devojka. Their first sample of their work, “True”, is a foray into eighties new wave with a modern cleanliness. The pulsing rhythm and flat tones coming from the synth indicate an analogue alternative to the Handsome Furs‘ delightfully gaudy digital polish. More information will come along about Operators as they continue to perform, but Boeckner’s ability to lead is enough to keep us eager for more fantastic listens. Listen to “True” below. “Serve The People” by Handsome Furs, from the album Sound Kapital. Handsome Furs have revealed another new track from the upcoming release of Sound Kapital, a track more in line with what I love about this montreal duo called “Repatriated“. They’ve also revealed their album cover, which you can see over at Exclaim! (not here because I’ve been using that NSFW tag a little too much lately).